Yes! Springtime is here and we are so excited about it. For us, springtime in New York City is the best season of the year. We are finally done with the snow, the cold, and the heavy-laden dressing. It is finally getting warm out there and everything is starting to bloom, and we can’t wait to get outside. Now, the most beautiful part of this season is the availability of Limo Service New York City to get you to your fun destination in style and luxury. You can enjoy the beautiful outdoor life and explore the various parks in the city. Although springtime is very short but there is so much to explore that you can make the best of the season. In this blog, we take a look at some best spring activities you can engage in with our limo service to have a memorable spring season. And don’t forget, our NYC perfect transportation is the best choice for all your movements during this season. New York has a lot of monuments; huge skyscrapers, two stunning rivers, and the ocean, but in all of these, the green spaces of the city are some of its best attraction. The parks come in different sizes and shapes but they are still remarkable in their own right. Some are small with waterfall, such as Paley Park in Midtown, and some are huge like the Central Park, known as the green oasis at the heart of Manhattan. Whatever plan you have, you will always find the perfect park to have a memorable springtime. And with our best NYC limo service, you can rest assured that your transportation arrangement is well taken care of. Some amazing parks you might want to explore in our NYC limousine include Central Park, Gantry Plaza State Park in Long Island City, and Bryant Park in New York City, among others. The springtime is the best time to enjoy amazing cruise tour in New York and with our transportation to Manhattan cruise terminal from NJ; your transportation arrangement is well covered. Many tour providers offer day cruises around NYC and Manhattan Island. You can have a beautiful day on the water as you enjoy an exhilarating cruise over the East River and Hudson. Some cruise tours you might want to consider include the Beast Speedboat Ride, Circle Line, Lunch Cruise to the Statue of Liberty, and Landmarks Cruise, among others. Wherever you are in NYC, our chauffeur will pick you up and take you to the ship terminal in style and glamour. 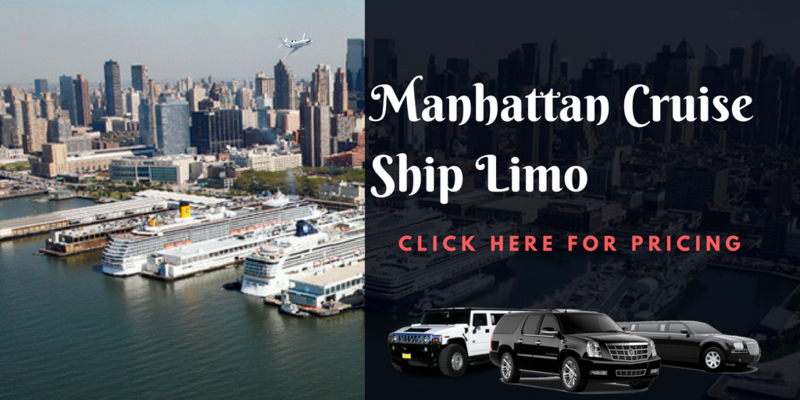 Our Limo Service to Manhattan Cruise terminal from CT is designed to give you utmost riding pleasure any time of the day. You can also trust us for your hotel shuttle to Manhattan cruise terminal if you are traveling as a group of tourists. Springtime in NYC means rooftop bar season. This is the season to explore the various nightlife the city has to offer and you can rest sure that there are many of them. If you are not a huge fan of the late night during spring, you can also explore some of these destinations in the evening. Whether you want to visit these rooftop bars in the evening or late at night, our best Limo Service NYC is there to take care of your movement, so you don’t have to worry about safety. Some of the rooftop bars you might want to explore with our Stretch Limo Service NYC include Sky Room Bar, Haven Rooftop & Restaurant, Mad46 Rooftop Lounge, Magic Hour Rooftop, Refinery Rooftop Bar, Bar 54 Rooftop Bar & Lounge, Plunge Rooftop, and Gansevoort Park Avenue NYC, among others. We offer bespoke Limo Service Long Island NY to any of these destinations from anywhere in New York City. One of the unique events celebrated during spring is the Easter and there are amazing things that you can do during this season in New York. One of the best things to do is to participate in the Easter Parade and Bonnet Festival in NYC. The Easter Parade and Bonnet Festival feature some of the most outrageously decorated hats you have ever seen and it is sure a fun thing to watch and participate in. This year’s festival will hold on April 21, 2019, and the parade will take place on Fifth Avenue, starting from 49th Street to 57th Street. The best spot to enjoy the view is at St. Patrick’s Cathedral, located at Fifth Avenue between the 50th and 51st streets. If you are wondering about how to get to this destination, you don’t have to worry. Our cheap limo service NYC is always at your service. You can also take part in the parade as long as you have your bonnet handy. Whatever part you want to take in the event, our Limo Service Brooklyn is available at your service. Springtime ushers in the summer but you don’t have to wait till summertime before you feel the warm sand between your toes. Take a trip to one of the beaches in New York City and enjoy the beginning of warm sunshine in your face and beach sand under your feet. And if you are up to it, you can dive into the still-chilly beach water. You may also plan a picnic with your loved ones at the beach during this spring and you don’t have to stress about the choice of transportation. We have the perfect limo service Queens NY that will do the job. Some of the beaches you might want to consider include Coney Island and Rockaway Beach. You definitely will love every moment of the experience, especially with our NYC Limo Service. There are amazing things to do this season and you can’t afford to snooze. With our bespoke Limo Service NYC, you can get to any fun destination of your choice in grand style. You don’t have to worry about cost; we offer cheap limo service NYC that will fit your budget. Call us today to request for our limo prices NYC and make a reservation for your NYC Limo Service.